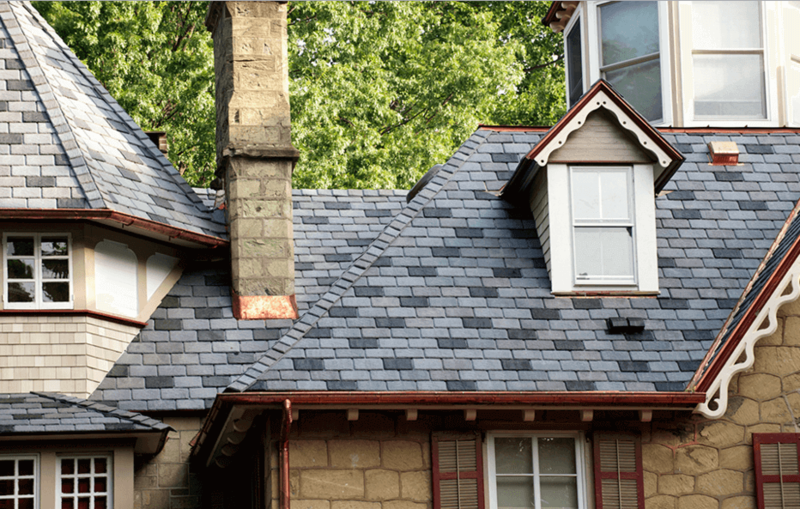 Thanks to modern technology, there are now synthetic slate roofing options that look identical to the real stone, but cost at least 50-60% less. This means you can install a high quality composite slate roof for about $15,000 on a simple 1,500 sq.ft. ranch or cape style home. 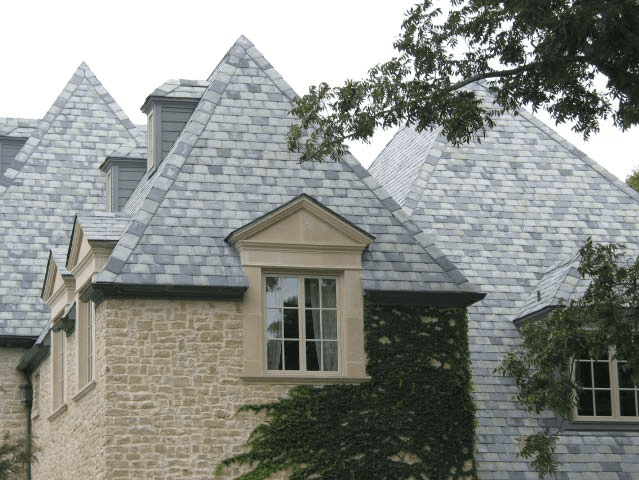 Compared to real slate, these roofs are also lighter in weight, highly durable, and weather resistant, making them a premium, high-quality roofing material. Our pros have picked the top 5 faux slate roofs, that can work well on a variety of architectural house styles. 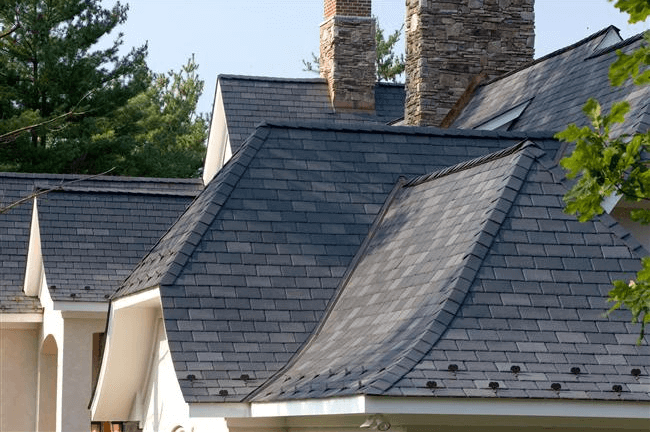 How much does a synthetic slate roof cost? Considering that an average roof in the US is about 1,600 sq.ft. you would spend between $14,400 – 17,600 on faux slate. By comparison you would spend at least $26,400 on a natural slate roof of the same size. Material prices range from $350-400 per square. If you use copper for valleys, drip edge, pipe boots, and flashing, then the cost can go as high as $500 per square. Installed, synthetic slate costs about $900-1,100 per square. By comparison, total installation cost for a real slate roof starts at $1,650, and can go as high as $3,000 per square. Note, this post highlights only some of the features and benefits of each material. We recommend that you do further research to learn about complete specifications. This high quality roof is produced by one of the leading roofing manufacturers, CertainTeed Corporation. Symphony is a specially-engineered composite roofing shingle that masterfully reproduces the look and feel of real slate. 1. Lighter than natural stone: this makes it possible to install the material on roofs that would not be able to support the heavy weight of real stone. Symphony does not require any additional structural support. 2. Long lasting protection: the material comes with a 50 year limited transferable warranty. This means that it will last at least 2 times longer than a traditional shingles roof. 3. 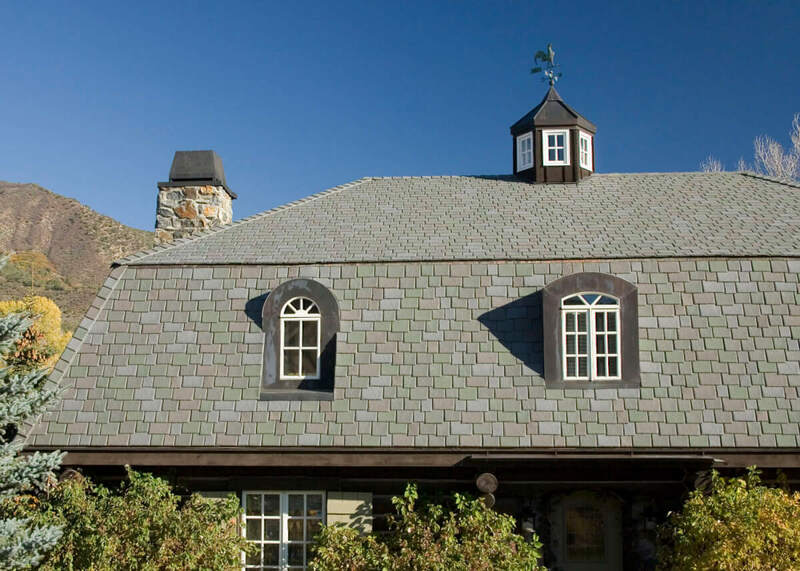 Highly durable: unlike natural slate roofing, Symphony shingles withstand foot traffic, cracking and buckling. 4. Superior weather protection: the material is fire (Class A), impact (Class 4), wind and fade resistant. This makes it ideal for installations in any region/climate of the US and Canada. 5. Quick, easy and cost-effective installation: much faster and easier to install than slate, requiring no special tools. The product comes in packages of pre-blended colors, so your contractor will not need to spend time sorting and matching colors. This means that you can save thousands of dollars on the cost of installation, as compared to a slate roof. If you want all the benefits and looks of real stone, but without the shortcomings, consider Polymer Slate, manufactured by Davinci Roofscapes. The product is manufactured from a state-of-the-art engineered polymer resin, crafted to have rough edges and a natural slate-like texture for a more authentic look. 1. High quality: unlike many other fake slate options, Davinci uses exclusively virgin resin to ensure the product’s consistency. This results in greater durability and longevity, as compared to synthetic materials that use recycled components. 2. Cost-effective: the total cost of this roofing system (including materials and installation) is about half the cost of the natural stone. 3. Superior durability and longevity: the material is impregnated with fire retardant and the most advanced UV and thermal stabilizers available. Thus, Davinci roofing can withstand harsh weather conditions, freeze and thaw cycles, as well as exposure to sun, rain, wind (up to 110 mph). It has a fire (class A), impact (class 4) ratings. This is one of the most long-lasting imitation slate roofs on the market, and comes with a limited Lifetime warranty. 4. 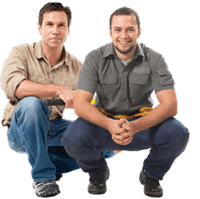 Maintenance-free: you will not need to invest much time and money into regular maintenance or repairs. 5. Extra UV protection: if you live in an area with high exposure to the sun’s rays, you can get the Renaissance finish with Kynar for additional UV protection (costs extra). 6. More tile width compared to other synthetic slate roofs, Davinci tile is available in the largest variety of widths (five). 7. Extensive color options: the colors are formulated from a pallet of 24 earth tones. Custom blends are also available. 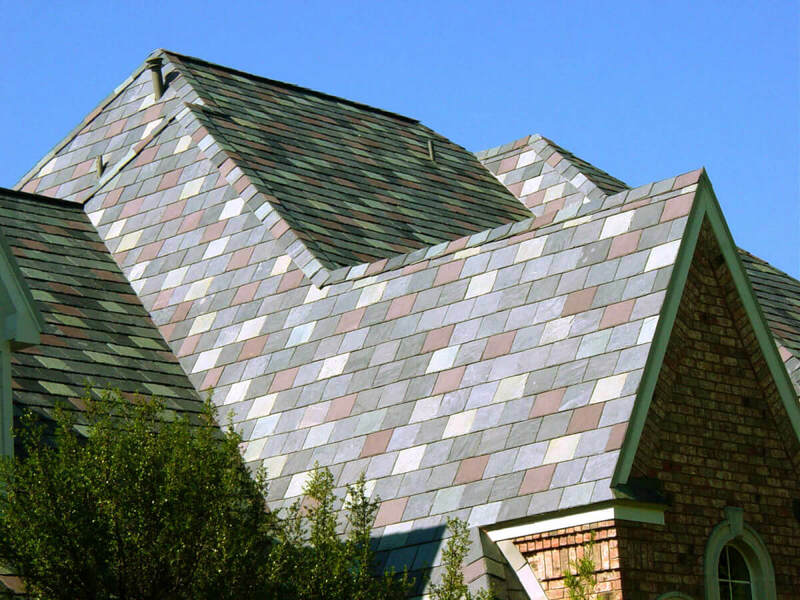 Now, there is a metal faux slate product, StoneCrest Steel Shingles, manufactured by Tamko. It rivals real stone in terms of durability and longevity. This makes it ideal for homeowners who live in the snow country and whose primary concern is weather resistance. These shingles are manufactured with heavy gauge G-90 steel, and are double stamped for exceptional beauty and strength. 1. Exceptional durability: specially coated with top quality Kynar 500®/Hylar 5000® coating system. This ensures superior resistance to fading, dirt, and environmental aging. 2. Superior snow protection: like any metal roof, it will protect your home from snow and ice dam related leaks that plague the majority of other roofing systems. 3. Can be installed over an existing roof: this is one of the few roofing materials that are light enough to be installed over existing asphalt shingles (if permitted by local building code). This eliminates the time, additional cost and waste associated with tear-off and removal. 4. 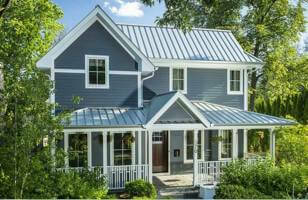 Energy efficient: metal shingles are highly energy efficient and can bring significant savings on your energy costs. This product is available in Energy Star qualified cool colors. 5. Eco-friendly: Tamco manufactures its shingles from from 37% to 89% recycled content. At the end of its service life, this roof is 100% recyclable. Majestic is a beautiful slate shingles roof, manufactured by EcoStar. It is an injection molded material, made primarily from recycled rubber. This roof is ideal for environmentally conscious homeowners. 1.Crack resistant: unlike natural stone, which is brittle and can easily crack and break when stepped on, Majestic is highly flexible. This means that it will not crack or chip during installation and repairs. 2. Half the cost: Majestic tiles cost from $300 – 365 per square (material only). This is at least half the price of natural slate, which ranges from $650-750 per square. 3. Easy installation: the rubber-based composition of the material enables a contractor to simply nail each tile to the roof deck. This is a lot less labor intensive than having to nail through pre-drilled holes in slate, and possibly breaking some tiles in the process. 4. Eco-friendly and sustainable: it is manufactured from 80% post-industrial recycled rubber and plastic. At the end of the roof’s service life, it can once again be recycled. 5. Beautiful color options: even a discerning eye will have a hard time distinguishing this roof from from real slate tile. It is available in 11 colors: Smoke Gray, Federal Gray, Midnight Gray, Black, Earth Green, Sage Green, Cedar Brown, Chestnut Brown, Driftwood Brown, Stone Red, and Mountain Plum. Slate Select is a fairly new, top quality synthetic tile manufactured from a proprietary fiber cement matrix with reinforcing non-alkaline glass fibers. The material is then cast in molds made from pieces of real slate tiles, making it appear nearly identical to the natural stone – even up close! It is manufactured in Garland, Texas. 1. Performs well in harsh weather: uniquely formulated with glass fibers, which enable it to withstand severe weather fluctuations. By comparison, most other fiber cement roofing materials use cellulose (wood) fibers, which tend to expand and contract in rain and adverse weather conditions. 2. Highly durable: offers strong insect, algae, rot and fire (class A and B) resistance. It will also not shrink or warp over time. 3. Easy, cost-effective installation: the process of installing this roof is very similar to wood shingles. This means you will have significant time and cost savings, compared to a natural slate roof install. 4. Superior color technology: one of the few roofing materials on the market that uses iron oxide pigments – the only pigments that are considered non-fading. This means that the color goes all the way through, does not require additional paint application, and will not chip over time. I can’t find any information on the CertainTeed website regarding Symphony Slate. Where can I find the info? According to the Certainteed Rep at the company Symphony is no longer being manufactured. Where can you buy this type of shingles in Pittsburgh, pa.
It’s best to check 2-3 local roofing suppliers. THey will carry different brand, and may have big variance in price. Pick the one you like best, or the one that meets your price/looks/quality standards. Can you commnt on Tamko Lamarite Slate roofing? We are looking at a home with a 9 year old lamarite roof, looks OK, but have concerns. What is the most effective one with lower costs? 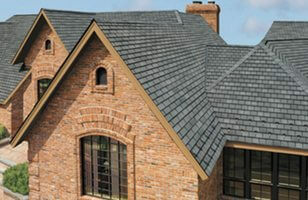 Do you have any preference between Davinci and Inspire for faux slate roofing? We cannot find any consumer ratings to compare these products. Which characteristics of DaVinci drive your decision to select / purchase / use this product: Which are the Top 3 drivers? Which characteristics of DaVinci drive your decision to NOT to select / purchase / use this product: Which are the Top 3 barriers / restraints? Would you choose or not choose “Davinci” in comparison to other polymer composite shingles such as Ecostar, Inspire roofing, CertainTeed. Kindly explain, why? Would you choose or not choose “Davinci” in comparison to other wood-based shake and slate. Kindly explain, why? Is Ply Gem a good engineered slate roofing ? How does it compare to what you listed? Mike, I’ve never heard of Ply Gem … let me look it up, I’ll get back to you on that. What is your recommended synthetic cedar shake for Indianapolis, Indiana (hot as heck in summer and subzero temperatures in winter)? If you want cedar shake impression, I’d recommend going with metal shingles/shakes instead. 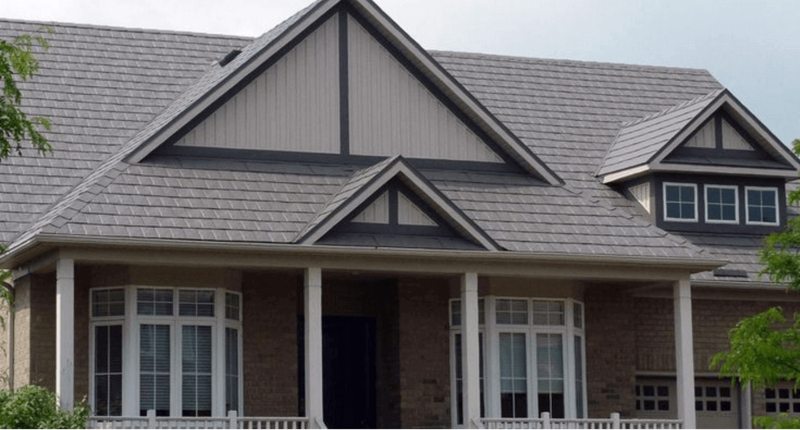 Tamko, Classic Products, Matterhorn, and others make great cedar impression metal shingles, and they are much better than synthetics at reflecting the sun. Check out our guide on metal shingles. 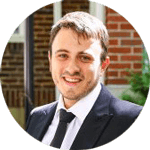 What is the cost of Slate Select compared to Majestic Slate? What are the insulating advantages , if any in using these products?These are awesome looking products!!! 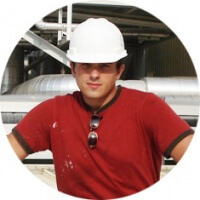 The pricing is fairly similar for both, and depend more on where you buy it, and what kind of discount you (or your roofer) have with the supplier. Insulating advantages are pretty much non-existent for either product. They should have some sort of solar reflectivity, but definitely no insulation value. For that you need actual attic insulation installed/added/upgraded.